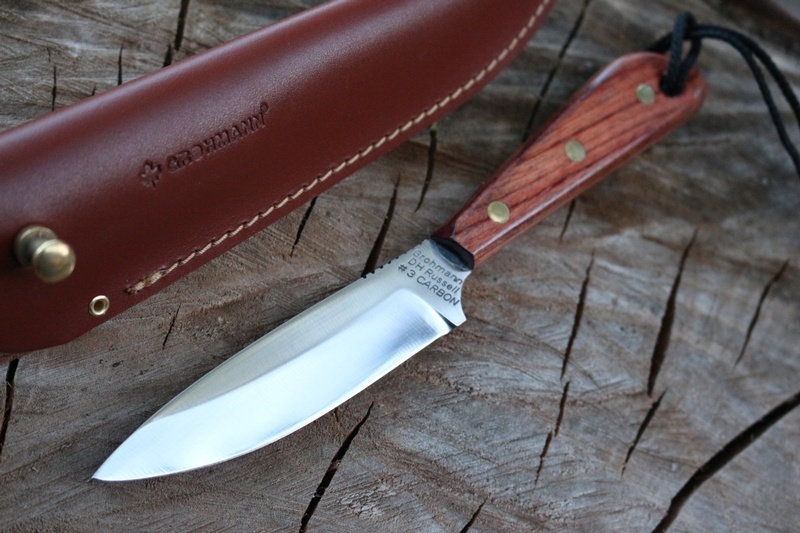 Made in Canada, this is the Grohmann Army model in Rosewood. 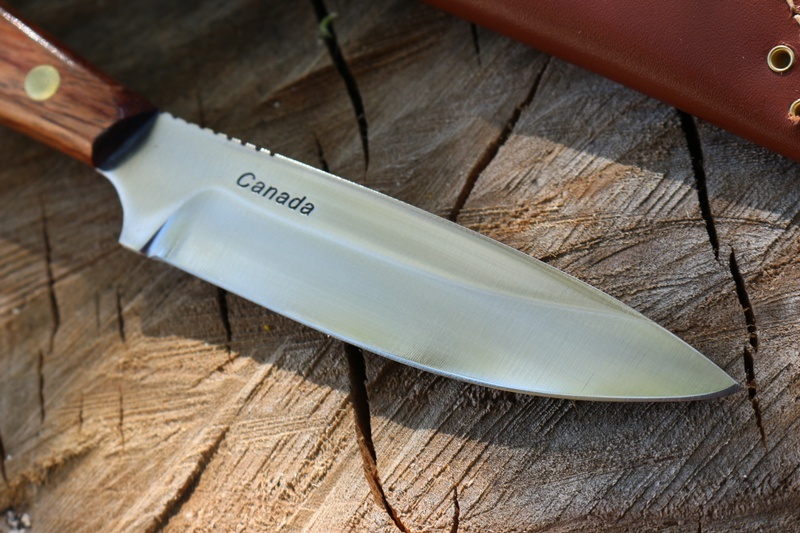 Tough little knife that uses the German C70 High carbon Steel with a full broad tag and solid pins. 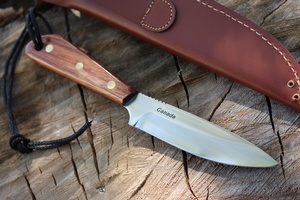 Its designed as a general purpose Outdoor knife and its a practical and useful tool. 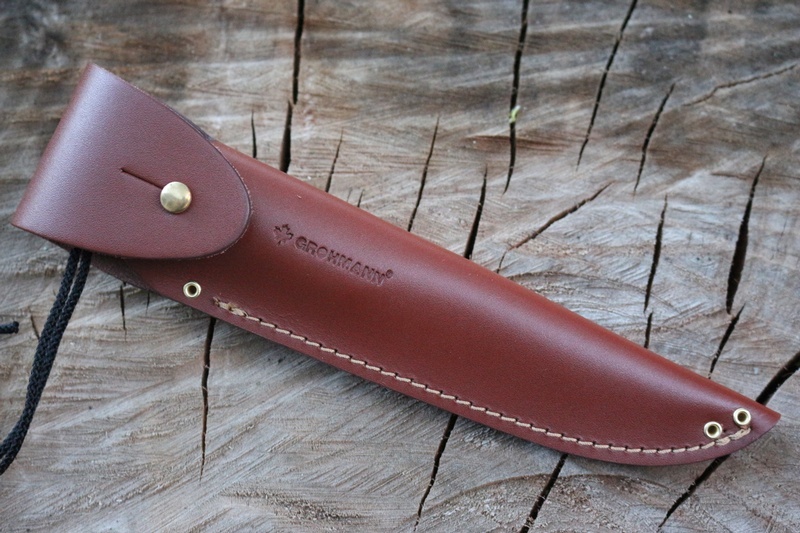 All made in Canada, it comes with an over flap leather sheath, see pics for details. Purchase through PayPal by using the "Add To Cart" button above or use the form below to order the Grohmann Forces Model Carbon with overlap Sheath . Feel free to contact us if you have any questions about the Grohmann Forces Model Carbon with overlap Sheath .